Last year, more than 500,000 people used heroin, according to the National Institutes on Health. Additionally, 3.8 million people report having used it at least once in their lives. Heroin is highly addictive and extremely fast acting. It is so addictive that even after just three days, it is possible to experience withdrawal symptoms if you stop taking it. Heroin sees its origin in the opium poppy. It is semi-synthetic, meaning that something naturally occurring has been taken and processed into something stronger. Heroin is processed from morphine, which in turn is derived from the poppy plant. Often, heroin is seen in the form of a white crystal-like powder. Heroin, however, is rarely pure white when sold on the street. Impurities encountered during manufacture, or additives included to "stretch" the supply, often color the heroin from off white to dark brown. Black tar heroin is exceptionally dark in color, and is made mostly in Mexico. It is sticky, rather than powdery, and it can actually be black. While heroin is most often injected (this gets the fastest results when it comes to getting a "rush"), it can also be smoked or snorted. It doesn't matter how the heroin is taken however; the Nation Institute on Drug Abuse confirms that all forms of heroin are highly addictive. As mentioned above, heroin is derived - eventually - from the opium poppy. The opium poppy has been providing narcotics for thousands of years. Indeed, opium has been cultivated since 3400 BC, when it made its domesticated appearance in Mesopotamia. The poppy has been used as a pain reliever and for other purposes since those ancient times. However, it wasn't until 1674 that C.R. Alder Wright processed heroin. Not much was done with it, though. Chemists working on ways to produce less addictive forms of morphine in Germany re-synthesized heroin, hoping to make a pain reliever that was less dangerous than codeine. Of course, the heroin produced was actually much more potent than codeine - it was faster acting and even stronger than straight morphine. 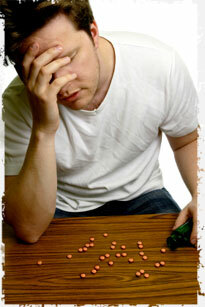 The feelings that resulted from heroin use are suspected in choosing the name. Heroisch is the German word for "heroic," which was how many users felt when under the influence of the drug. Interestingly enough, heroin was marketed by Bayer (of aspirin fame) as a cough medicine for children. For about 12 years (1898 to 1910), Bayer insisted that heroin was a non-addictive morphine substitute. It was also marketed as way to overcome morphine addiction. When the truth came out, it was a rather large embarrassment for Bayer. Heroin remained legal in the United States until 1924, despite evidence of its devastating effects. However, after 1914 it wasn't as readily available. The Harrison Narcotics Tax Act was designed to regulate heroin sales and distribution. For the most part, from 1914 to 1924, heroin could only be obtained by prescription (a form of it is still prescribed in some cases in the United Kingdom under the name diamorphine). However, many were still able to get heroin "legally" for recreational purposes. Since 1924, there has been a ban on manufacturing, importing or selling heroin in the U.S. In 1970, the Controlled Substances Act made possession of heroin illegal, in addition to making, selling or importing the drug. A DEA license is required to handle the drug. Canada and Hong Kong also have regulations regarding the use of heroin. Heroin trafficking is still very much alive and well in many parts of the world. Illegal heroin trade has been in effect since a spate of regulatory measures enacted in many countries in the early years of the 20th Century. World War II marked a disruption in heroin trafficking, but after the war, Iran supplied the Western world with much of its heroin. Today, according to the United Nations, about 87 percent of the heroin trafficked throughout the world comes from Afghanistan. (It is worth noting that most of the heroin in the United States actually comes from Colombia.) When other Middle Eastern countries sought to limit production in the 1970s, Afghanistan picked up some of the slack. Poppy cultivation and heroin production have been used to fund various fighting efforts, the most recent being the use of heroin trafficking to fund the Taliban fighters. Southeast Asian countries have been trying to stamp out the heroin trade. There are severe penalties for possession, and even death can be ordered for heroin trafficking in Singapore, Malaysia and Thailand.